Rebekah Kowalski leads Client Workforce Solutions for ManpowerGroup North America. Rebekah’s work focuses on developing solutions that help organizations and leaders deal with the implications of both the shortage of rightly skilled workers and the rapid evolution of roles and skills across multiple sectors. Rebekah led the ManpowerGroup team that worked with the Digital Design & Manufacturing Institute to define the future workforce for digital manufacturing and design, and is responsible for leading ManpowerGroup North America’s Manufacturing Sector Strategy. 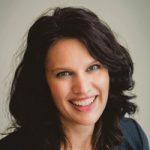 Rebekah is passionate about education leading into a sustainable career and has served on both the Board of the Wisconsin Education Business Roundtable and the Executive Committee of Competitive Wisconsin. She is currently an active member of the University of Wisconsin System Business Council and is an Advisory Board member of i.c. Stars.